The “super yo-yo glitch” is one of the great mysteries of the competitive Super Smash Bros. Melee community, and now, 11 years after its existence was first rumored, someone has put up a bounty for the person who finally proves it is real. 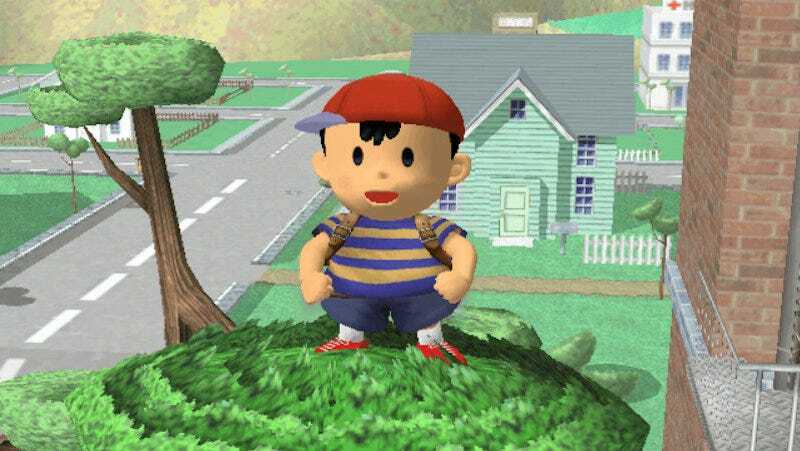 The glitch involves Ness, the schoolboy from the Earthbound series, who is widely considered one of the 2001 GameCube fighting game’s weakest characters. But the glitch could give him the unprecedented power to, essentially, turn his body into an unstoppable wrecking ball. Unfortunately, aside from assorted written reports of first-hand encounters, no footage of the glitch has been captured in the decade since its first discovery. People have an irresistible desire for the truth. They want to know if we’re alone in the universe. If Bigfoot is out there, they want to see him. Late last month, Brian “MGNinja_Raiden” Hepp, a YouTuber whose claim to fame is a massive video resource of tips and tricks for the entire Melee cast, decided to place a bounty on the super yo-yo glitch late last month. He took to r/smashbros, and offered $100 to the person who produced video evidence of its existence. Others chimed in, raising the bounty to $456. Britton “Simna” Green, the Ness player who first revealed the glitch was possible, promised to share half of the Evo 2017 winnings he expected to earn on the back of this powerful technique. So far, only a handful of people have claimed to have seen the super yo-yo glitch in the game. What they encountered would be extraordinary, but it’s also a bit confusing. To understand it, you first need to know how Melee’s regular yo-yo glitch, which was found in 2005, works. That glitch’s name comes from the yo-yo Ness incorporates in his various smash attacks. By performing the Earthbound hero’s up smash move in such a way that the yo-yo hits his opponent on its first extension and then charges for a bit without any interference, the attack will leave a lingering hitbox—the space around an attack that damages opponents—on the stage that, among other things, gives players the opportunity to attach “jackets” to Ness. Jackets take a bit more setup. Doing things like shooting Ness into the stage with his PK Rocket or canceling down air with a landing animation after performing the yo-yo glitch will cause the lingering hitbox to latch onto Ness, surrounding him with the hitbox of the aforementioned attacks. This allows players to damage opponents by simply making contact with them, though it only works one time before the jacket needs to be replaced. One might assume this technique would be a godsend for a character as weak as Ness, but it’s done little to lessen the strength gap between him and characters like Fox, Falco, Marth, and Sheik. Much of his moveset is riddled with weaknesses, forcing serious players to choose between attacks with a variety of flaws, and he also suffers from incredibly poor recovery, which makes returning to the stage after being blasted away a chore. The super yo-yo glitch is a different story. First revealed by Green in 2006 via a coy Smashboards post that teased something about “infinite jackets,” the upgraded bug supposedly gives Ness limitless access to the yo-yo glitch, including jackets that don’t lose their potency after one use. Naturally, the community, which has generally trusted the few accounts of the glitch to be true, waited with bated breath for his findings to become public. But constant experimentation by forum members failed to uncover a consistent method for applying the rumored technique. Might as well stay down there, Ness, you’re not going anywhere. However, some obstacles still stand in their way. In the only instance the super yo-yo glitch was encountered, it caused the game to freeze, meaning it would most certainly be banned in competitive play. Should that speedbump somehow be bypassed, Green believes the benefits to Ness would be so tremendous that the community would still have no choice but to make it illegal. Due to its incredible 15 years of competitive play, there’s little chance of a tremendous shift happening in the Melee landscape any time soon. The same handful of characters—Fox, Falco, Marth, Sheik, Jigglypuff, Peach—will continue to rule the roost. Ice Climbers, though something of an outlier, remain viable thanks to the community’s continued patience with their infinite throw loop. Green doesn’t see a similar path in Ness’ future, at least not where the super yo-yo glitch is concerned. It remains a purely educational pursuit for players looking to wring the last bits of information out of an aging game. As competitive games mature, so too does player understanding of their intricacies. While the super yo-yo glitch might not herald a new, Ness-focused era of competition, it’s one of the few remaining mysteries of a bygone age. Closing the book on its existence, over a decade since it was first discussed in hushed tones on a message board, would add yet another extraordinary chapter to the ongoing saga of Super Smash Bros. Melee.